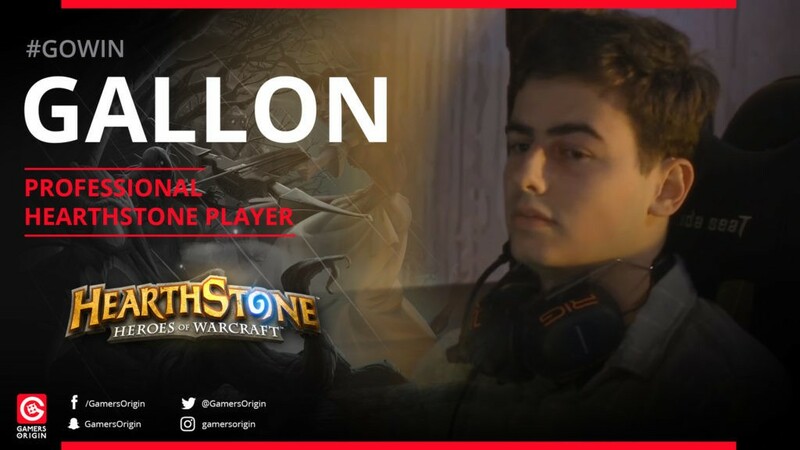 GamersOrigin is thrilled to welcome Edward “Gallon” Goodwin in its Hearthstone eSport club. The young American player showed a lot of potential during the first HCT season where he almost reached playoffs. Moreover, he achieved a top 3 at the HCT Toronto Stop Tour and regularly makes a top 10 finish on the ladder. He is known for being a good player of Worgen OTK, Pirate Warrior and Kingsbane Rogue. He will represent GamersOrigin during the next season, for HCT Tour Stops and international tournaments #GOWIN. My name is Edward Goodwin, and I am a 20-year old player from the U.S. I have finished top 25 and top 10 NA multiple times. I also got 9th at the 2016 Spring Playoffs and 3rd at EGLX 2018. I am not sure if I have a specific playstyle, but I definitely try to learn more off-meta decks than most people. Even if most people think that a deck is bad or unplayable, I still need to try it and optimize it myself to know for sure. I think there are lots of decks people will discredit right off the bat, like Kingsbane Rogue, which can be quite good depending on the meta. I am incredibly excited to be joining GamersOrigin for the upcoming HCT season, as it is clear they have invested into competitive Hearthstone. My teammates Purple and Chinoize are stellar players in their own right and I couldn’t ask for better support. The goal going forward is to excel in team standings, and we plan to do just that.